A job offer from the U.K.'s largest advertising agency comes totally out of the blue for Celina, so she decides to take the job interview out of interest. There, she meets an outstandingly gorgeous man, Luciano, who is president of the company. Celina is alarmed by his irresistible charm and wants to refuse the job, regardless of the unusually high salary. But she has no other choice but to accept Luciano's offer in order to finance her sister's tuition. It is too late when Celina realizes that she has made the wrong choice. She has already been trapped deep in his risky scheme. 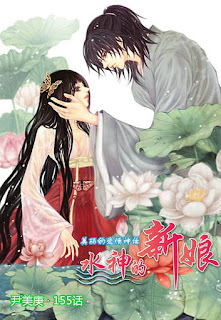 i cant seem to find it at any free read manga site... really want to read it T.T where could i read it please...!! Should we Drop Why Do You Love Me? HOME OF HARLEQUIN MANGA ^_^.